Of every games console or computer I’ve ever owned, the Sega Mega Drive is probably my favourite. It was my first console, and the one I own most games for. It also saw me through most of university, despite the N64, Saturn and PS1 all having just come out – I obviously didn’t have any money to buy them. It wasn’t until the end of 1999 that I bought something newer, meaning I’d had a full 8 years of Megadriving. And hundreds of games. Mostly forgotten two player platformer. There’s very little to the main game – collect rabbits. Sorry, wabbits. 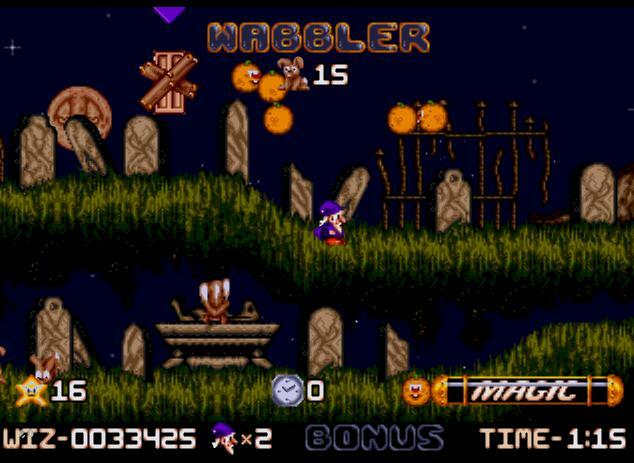 But the wabbits give you items, and these items can be mixed in a pot between levels to create spells that do all sorts of things – from changing wabbit colours, to speeding up the game, skipping levels, triggering minigames and bonus points. There are about zwelventytengillion combinations, and writing a spell book (on paper and everyfin) was part of the fun. Oh yes, and the frantic wabbit collecting was great too. 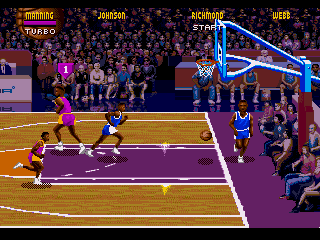 I’m not a sports fan of any sort, but this two-on-two arcade basketball is barely sport. It’s a fast passed pass-and-dodge simulator, with some throwing, dunking, and lots of pushing. 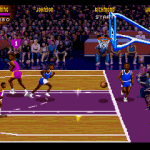 And, lets not forget, NBA Jam gave us such great soundbites as “HE’S ON FIRE!” and “BOOMSHAKALAKA!”. Untold lost hours to this, and its almost-as-good (but with fewer players and features) non-T.E. predecessor. ALTITUDE WITH AN ATTITUDE. You may notice that Street Fighter II is missing from this list. Does that mean that UMK3 is better? On the Mega Drive, in my opinion, yes. Part of the appeal was the excellent combo system, which SFII doesn’t really have. 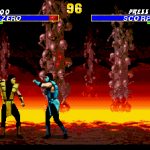 I spent so much more time playing MK2, then 3, then UMK3 on my Mega Drive that I wore out a 6 button controller. 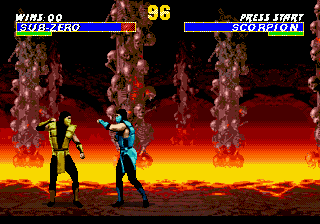 Of course, SFII has aged more gracefully, but at the time, two player fighting games didn’t get any better. Even back in the day, obscure and incomprehensible Japanese video games were a big draw for me. I bought Magical Hat without knowing anything about it, but the box looked great. 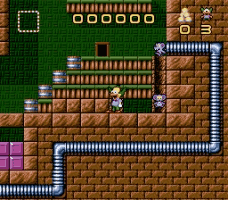 It dawned on me part way through the first level that I’d bought a Decapattack clone, albeit harder and more colourful. Then I learned that Magical Hat came first, and Decapattack was a Westernised version of it. 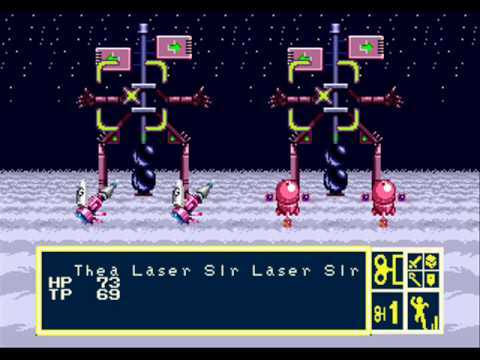 And both were based on Psycho Fox for the Master System, which I also loved. Amaze! A fantastic, unusual platformer with some bizarre power-ups and great bosses. With hindsight, it’s easy to describe ToeJam & Earl as a two-player co-op roguelike. Back then, I had no idea what that was. In fact, the link only clicked recently, but it’s true – levels, random items, random maps. Simplified, of course, but still a roguelike. It’s also hilarious, and the soundtrack is decidedly funky. It’s a shame the sequel was just an average platformer, and the less said about the third game the better. I’d never even seen an episode of The Simpsons when I bought this, but being described as “Lemmings, backwards” by reviewers piqued my interested. It’s not quite true though. 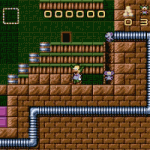 Yes, you do send rats to their doom rather than save them, and yes, it’s a puzzle game, it differs in that you control an actual on-screen character who has to move items, destroy blocks, and avoid traps and baddies in the process. So it’s a puzzle-platformer, and it’s clever, huge, difficult, and varied. Probably the best licenced Simpsons game, ever, and it didn’t even need to be one. 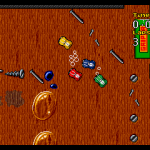 The original NES Micro Machines was played so much in our house that we literally wore the cartridge out. Really. 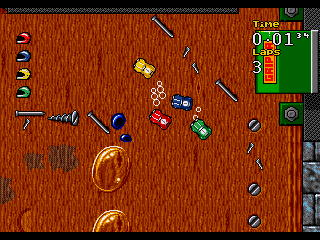 The sequel on the Mega Drive with nicer graphics were even better, but this – with more tracks and cars, a track editor, and up to 8 players – was astounding. The series went downhill afterwards with the rubbish combat of Military, and 32-bit iterations and later never really pulled it back. Best top-down racer ever. Gauntlet was a great 4 player co-op horde shooter. Gauntlet II was more of the same. 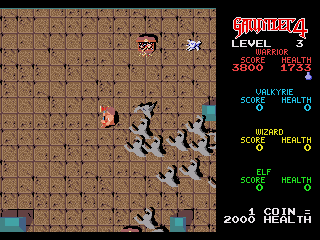 Gauntlet III was a poorly realised isometric take on the same idea. 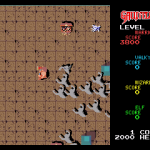 Gauntlet 4 then, was a welcome return to the viewed-from-above maze based formula, and was pretty much just an arcade perfect port of the first game. Except it had a fun for a while battle mode. Oh yeah, and a full blown co-op puzzle-RPG mode with bosses and everything. This mode was worth the entry price alone, and exactly the direction I’d have liked future Gauntlet games to have gone. Yeah, that worked out well. But 4? Ace. 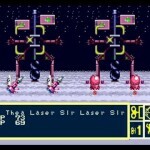 Considered the Black Sheep of the family by many Phantasy Star fans (in my opinion, it’s actually the nonsense online MMORPG PS games that deserve that accolade), PSIII was my very first proper RPG, and the first time I’d ever had a game last me months of play for any reason other than I was rubbish at it – PSIII was HUGE. I recall getting it for Christmas and finishing it in August. That’s some value for money. The plot is a side story to the main PS series, and now having played the other three games, I can see how it’s both different and doesn’t really fit in the series. However, the branching “generations” of characters and their stories is still pretty unique, and it is still an outstanding RPG. It also has the most haunting music of any game I’ve ever played – especially in the opening sequence (see video). Although Sega were a little cheeky releasing what is probably the world’s first episodic console game (£45 for Sonic 3, then £45 for Sonic & Knuckles to complete the story? ), they also created what is the best Sonic game. It was all uphill to this point, with impressive, chunky graphics, clever (for the Mega Drive) special effects, and the nailed-it mix of super-fast running and tricky platforming of the series peaking with Sonic 3 & Knuckles. After that? It all fell apart for the blue hedgehog, with occasional decent titles like Sonic Rush, but with an awful lot of utter tripe (with furry after furry added) along the way. 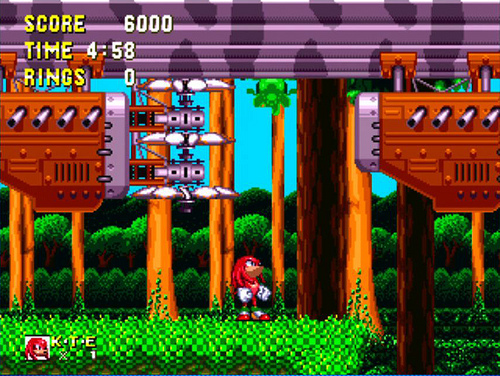 Sonic 3 & Knuckles does everything so right, with huge levels, varied bosses and two sides to the story (each with different routes through some of the levels) – one as Sonic, one as Knuckles. 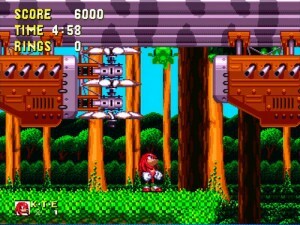 Not only that, but you could also replay Sonic 2, with Knuckles, by plugging the earlier game into Sonic & Knuckles. Quite rightly the Mega Drive’s best title, even if it does cheat a bit by being split across two cartridges. No Strider. Because it took 10 years for me to finally complete the last level. Great to see Wiz ‘n’ Liz making the list. A greatly under appreciated game.